The project, led by Clare Copeland (Course Director, PGCE Primary and Early Years), was carried out in partnership with three Southwark primary schools and was jointly funded by LSBU and the Teaching Agency. 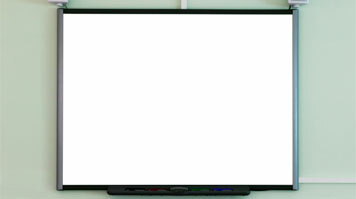 Its aim was to enable all students to see interactive whiteboards being used in a class lesson, helping to establish and reinforce good practice. "It can be a daunting prospect to stand up in front of a class of children and teach using this technology, especially if you have not seen it being used effectively," Clare explains. "Although we teach our students how to use the interactive whiteboards, we cannot guarantee that they will see good practice in the classroom when they go on teaching practice. This initiative will hopefully change that." The project saw students from the Primary PGCE course invited into one of the three partnership schools to observe a Maths or English lesson where the teacher would demonstrate good practice use of the IWB. In each lesson, the focus was on maximising opportunities for the children to interact with the IWBs. During the school visits, the students watched and participated in the lessons, then met with the teachers afterwards for an informal Q&A session and discussion. Afterwards, the lesson plan and resources were made available to the students, which many found to be very helpful in developing their own practice. "The visit gave me loads of new ideas," says student Niamh Broderick. "The teachers were so generous with their time, and gave me some fantastic ideas on how to use technology in the classroom, and how to engage children with all elements of the curriculum using IWBs. Their honest approach was refreshing and helpful." Niamh's opinions were echoed by fellow student Susan Fitzpatrick. "It was a fantastic experience, a very positive element of the PGCE," she says. "It was great to share ideas, strategies and tips on how to make IWBs work for us in our own classrooms, as well as seeing how effective, efficient and interactive they can be." To help the findings reach an even wider audience, the visits and discussions were filmed, and the footage is being added online. "We hope it will be a really useful resource that highlights good practice, says Clare. "The students also wrote a blog about their visit, which will be used to inform a write-up for the Teaching Agency and participating schools." The exercise demonstrates the benefits of strong school relationships to LSBU, the schools we work with, and the students whose education is enriched by them. "It's so good to be linked with colleagues from university, and to be looking positively and thoughtfully at valid learning experiences for children," says Bernadette Steiert, Deputy Head Teacher at Southwark Primary School. Simon Jermond, a class teacher at Dulwich Hamlet Junior School, was one of the teachers who took part in the scheme. "It's easy to forget that interactive whiteboards are supposed to be just that – interactive – not just for the teacher, but also the pupils," he says. This project has helped to unlock the potential of the big white screen on the wall by moving it away from being a device to display other people's content and turning it into a powerful learning tool for teachers and pupils to discover and own together."